Cosmic tips to deal with holiday anxiety!  Dynamism is one of your distinctive features, Aries, but holidays may drain your energy dry. And your disappointment in your own helplessness may aggravate the situation. You have a very long to-do list, and anyone who dares to add another item had better watch out for an emotional outburst! To save your family members from seeing Arian temper tantrums, set aside at least an hour a day and spend it alone. You don’t need to do any reflecting or planning or self-analysis. Ask someone to help you with the tasks or chores and simply go out for a walk or have some sleep. Your family will be eager to help you feel better! Find Out What Gives Aries The Creeps!